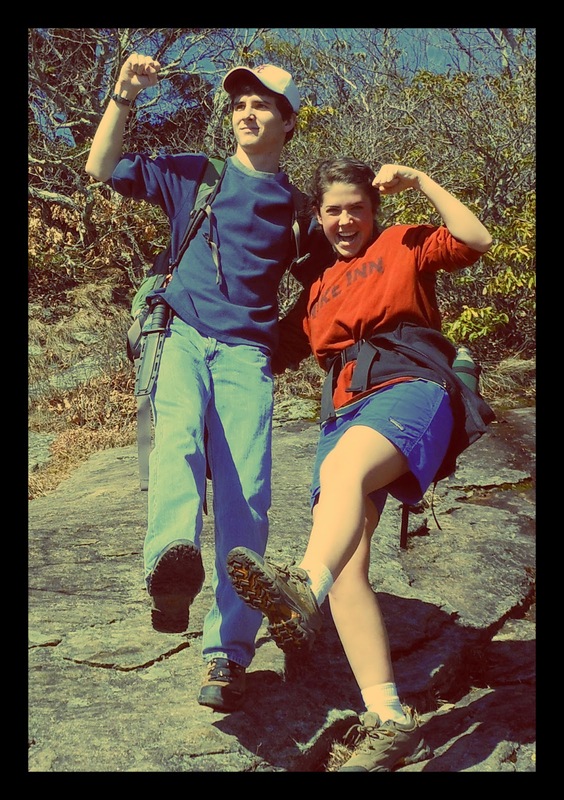 To kick off this week's photos we have high school seniors Shea, Abby and Allison (pictured below) who spent President's Day hiking up Blood Mountain near Gainesville, GA.
Shea, pretty sure you've earned yourself some bonus points for being an Eagle Scout and for getting into Alabama. Allison and Abby, congrats on both getting into UGA! Proud of you three turkeys. Next, meet Taylor (friends with Jona from this FPF post) who threw fist pumps at his favorite BBQ joint Dinosaur BBQ in Troy, NY. Way to stuff your boca with a dino burger, mac-n-cheese, and collard greens! 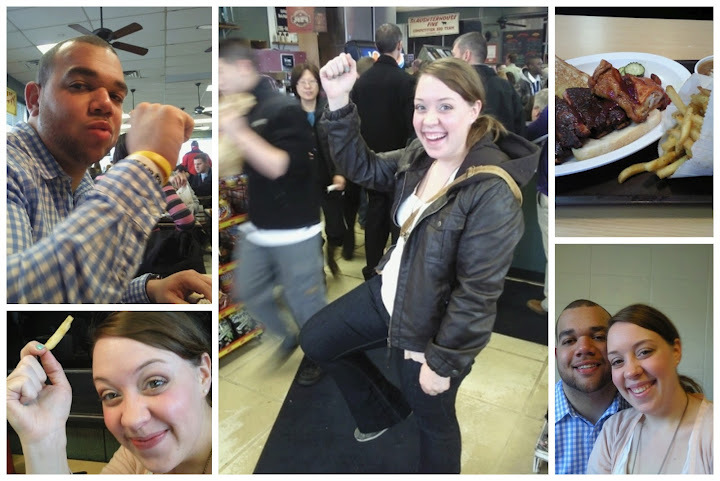 Lastly, meet Mandy & Clarence who also threw fist pumps at their favorite BBQ joint, Oklahoma Joe's, in Kansas City! Fist pumps and leg kicks for bbq ribs, smoked chicken, dirty rice and seasoned fries! Thanks to Taylor, Mandy & Clarence we've now completed one more of our FPF challenges! Here's to accomplishing some others: take a photo of you and your homies A) while riding an elephant B) with your mailman C) in front of Antique Archaeology in Nashville D) at your favorite BBQ joint E) at the Pyramids in Egypt F) at Cadillac Ranch in Amarillo G) at the Sistine Chapel in Rome or H) in front of your sorority / fraternity house. Of course all other entries will be accepted. To participate email photos to em@todaysletters.com. And most importantly, Happy freaking Friday, Homies!